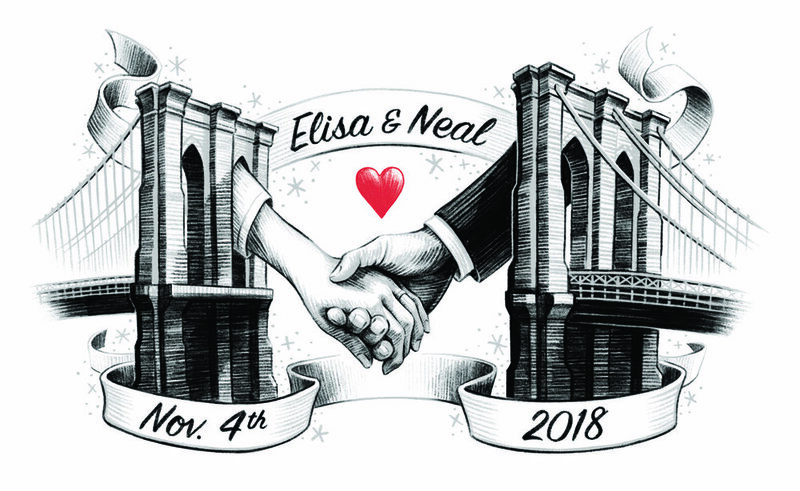 I had the immense pleasure of creating wedding illustrations for two friends of mine. These images were featured on the invitation as well as a fully-illustrated program explaining the meanings behind the traditions featured in the ceremony. Mazel tov to the happy couple!